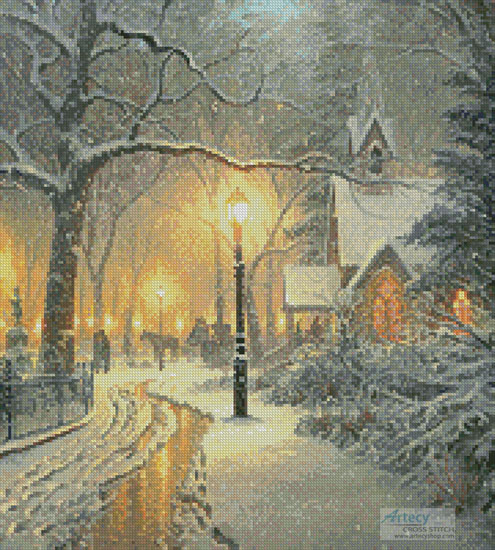 Winter Chapel (Crop) Cross Stitch Pattern to print online. Please note if you think you may stitch the full design as well at some stage it may be better to purchase the full design instead, as if you purchase this design and then decide you want the full version, unfortunately you will need to purchase that pattern separately as well. However if you purchase the full version we let you know on the website the area to stitch for this cropped version as well.